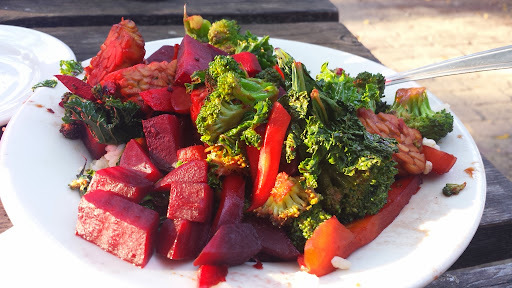 I ordered the Root Stirfry with beets, carrots, kale, broccoli, ginger, and local tempeh. I really enjoyed it. While I was waiting for my food, I sat outside in the back enjoying a Jupiter Bar as my appetizer. 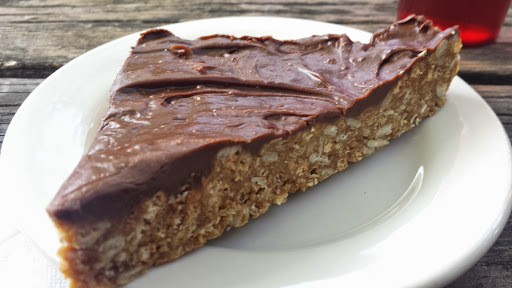 The jupiter bar has chocolate and peanutbuttery rice krispies. It was great!